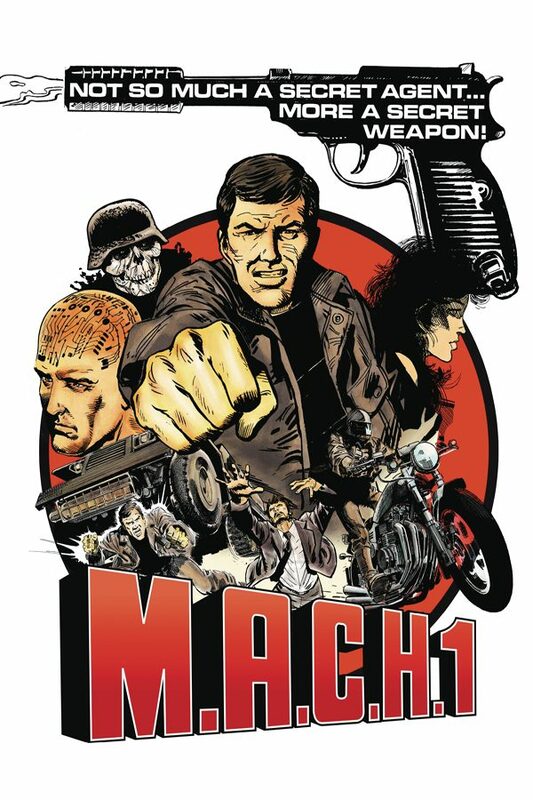 The Six Million Dollar Man meets James Bond in this first volume of the explosive adventures of 2000 AD’s super-agent! The world is a dangerous place, with terrorists, lunatics and other foreigners plotting destruction at every turn. Fortunately, the British Secret Service has the world’s back! And when the threats the world faces are extra-ordinary, they need an extra-ordinary man for the job. Enter secret weapon and special agent, John Probe. Using the technology of computerized acupuncture, they grafted a computer circuit onto his skull and inserted special electro-needles into his body, and now he can increase his energy flow until he has the strength of fifty men! Terrorists and enemy agents beware! John Probe is much more than a man; he is a Man Activated by Compu-Puncture Hyperpower!